With energy generally accounting for 20-40% of operating costs, reducing electricity expenditure is now a major operational and strategic goal for the mining industry. Integrated renewable solutions enable mining companies to meet sustainability goals while also securing a reliable energy supply and a reduced long-term energy price. 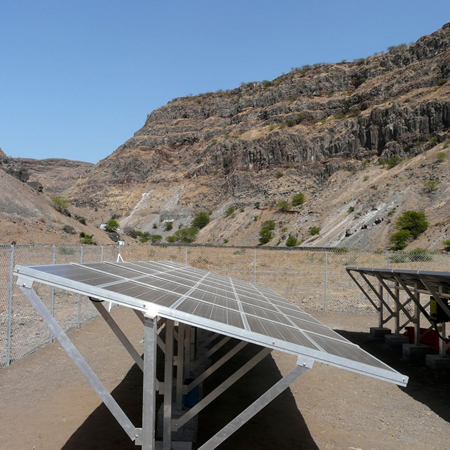 We provide clean energy to power mines in a range of global locations which are often isolated from the national electricity grids and in interconnected areas where the grid is poor. 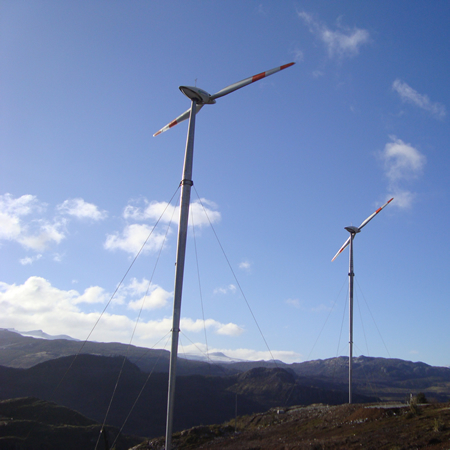 Our wind and solar technologies are perfectly adapted for remote regions and are easy to transport, install and maintain. Costs and risk associated with the purchase, transport and storage of fossil fuels, such as oil, are avoided and provide significant energy savings with renewable solutions. Excess energy generated by renewables could be redistributed back into the grid for additional income, or supplied to near-by communities as a basic social amenity. Unlike large manufacturers, resellers or off-the-shelf suppliers, we have been servicing the mining industry for several years and are skilled in proposing and implementing bespoke solutions that respond to your on-site needs. We design our solutions ensuring a perfect integration with the business plan of our customers. Our main target is to deliver a good technical and profitable turnkey solution allowing customers to focus on their core business: Mining. The high performance and reliability of our solutions eliminates the risk of power cuts or outages which is critical for remote or isolated mining sites with no connection to the electricity grid. Our track record spans 25 years and includes successful renewable energy installations within the mining industry including a zinc mine in El Toqui, Chile, South America with Seawind and a National Mining and Industrial Company (SNIM) iron mine in Nouadhibou, Mauritania, West Africa.